This specialized field diagnoses, prevents, and treats dental and facial irregularities called malocclusions. 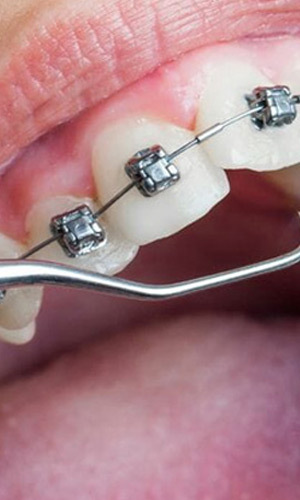 Orthodontics includes dentofacial orthopedics, which is used to correct problems involving the growth of the jaw. Orthodontic treatment straightens teeth that are rotated, tilted, or otherwise improperly aligned, corrects crowded or unevenly spaced teeth, corrects bite problems and aligns the upper and lower jaws in children and adults. The department of orthodontics has a wide range of activities covering all aspects of orthodontics ie. Preventive, lnterceptive, Corrective and Surgical.